Don't be an April Fool! 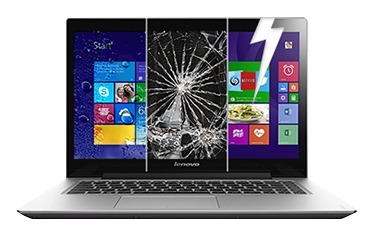 Laptop damages are more costly than you think! Beware! April Fool's Day is right around the corner! And for those of us who tend to lean more towards the gullible side, like myself, we admittedly have a real tough time on old April 1st. We are constantly being suckered into pranks and false statements that are meant to fool us. With that said, let me preface this blog by saying, that the content you read in this post is no joke! If you own a personal laptop, you are more than aware of the technical issues and wear-and-tear that time can take on your device. But, are you aware of the average costs of these damages? In a world where we are heavily reliant on laptops for work and leisure, we need to be fully aware of the costs of repairing damages on our devices. Below you will see that we have outlined some of the more common damages to laptop products and what, on average, you will spend to repair those damages. 2. Crack in the Laptop Casing: Let's face it. Many of us are prone to dropping things. Not all of us can the gift of coordination when it comes to holding onto our electronic devices. A great example of this is the nationwide epidemic of dropping your mobile phone, but don't be fooled! There are plenty of laptop-dropping offenders in this world. On average, if you are in need of a laptop case repair it will more than likely cost you the not-so-cheap price of $118. Not everything has to be doom and gloom, though! I know you are seeing all these ridiculous costs above and probably getting sweaty hands. But, did you know that you can get insurance coverage for your laptop for as low as $1.83 through Worth Ave. Group? That's only $22/year! Not bad, right?